ITV is preparing to take rapid advantage of changes in legislation that will allow it to charge retransmission fees. A provision in the Digital Economy Bill, that received Royal Assent in April, means that older legislation prohibiting the BBC, ITV, STV, Channel 4, S4C and Channel 5 from charging such fees will be repealed after the election. In its latest results statement, the broadcaster also confirmed a drop in revenue, with external revenue down 3%. In other results, ITV confirmed that its main channel share of viewing is up 4%, while ITV's family of offshoot channels have enjoyed a 2% increase in viewing share. Online viewing is up 32%. With revenue volatile, the broadcasters says that the introduction of retransmission fees will ensure it is "fairly compensated for our investment in content for the main channel when it is carried on pay TV platforms." 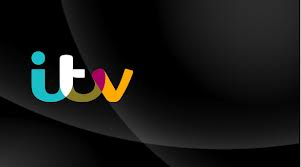 It has not provided any additional information on the level of fees it plans to charge, but ITV Chief Executive Adam Crozier said he was "pleased" about the legislative changes, with the Government confirming to the broadcaster it would repeal the legislation "without delay". Only a few years ago, it was ITV that had to pay Sky for carriage of its main public service channel on the platform, thanks to the now abolished "platform contribution charge" levied by Sky. There have been some fears that disputes between pay TV operators and public service broadcasters over fees could leave viewers without certain channels in the future, in the same way that Discovery threatened to pull its channels from Sky pending a last minute deal earlier this year. ITV has sought to monetise more of its content in recent years, notably re-entering the pay TV market when ITV Encore launched as exclusive premium channel for Sky and Now TV viewers in the UK. The broadcaster has also retained HD versions of its offshoot channels behind a paywall. ITV and other public service broadcasters aren't allowed to ask for retransmission fees from free-to-air platforms as their licences stipulate that they distribute a free-to-air signal. Additionally, the broadcasters are gifted multiplex capacity for their services on digital terrestrial television. The changes in legislation do not relate to the offshoot channels broadcast by ITV, Channel 4 and 5.